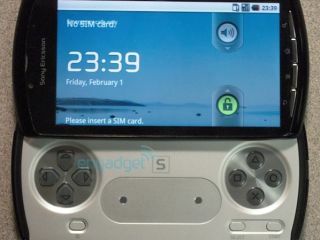 The PSP Phone – aka the Sony Ericsson Z1 – will be available in shops in April after a launch at February's Mobile World Congress. Pocket-Lint reportsthat they have spoken to 'sources close to the matter' who have confirmed the arrival of the gaming handset. A MWC release always looked the most likely, despite suggestions that CES 2011 in January would see a launch event. Of course, as with all anonymous sources, it is difficult to consider the statements as concrete at this juncture – although the timing sounds credible. The source is quoted as saying that Sony Ericsson is throwing its weight behind the launch in the hopes of winning a larger share of the smartphone market. "Sony Ericsson is going big on this one", said the source, "but although it will get a Feb launch, it won't be in shops until April". However, TechRadar has spoken to many within the gaming industry who have reacted enthusiastically at the prospect of the PSP Phone, although key doubts remain. The line between gaming on your mobile and on your console have become steadily thinner – and the arrival of a PSP Phone is likely to be seen as a critical juncture in the evolution of portable gaming, even if it fails.